Free Viktor&Rolf Spicebomb Perfume – Sorry Expired! 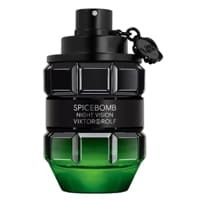 You can get a free sample of Spicebomb Night Vision fragrance from Viktor&Rolf so hurry up and get one from their website. Follow our link and fill up the form with your details and they will deliver it to you. Just enter 00000 in the zip code box and add your postcode to the ‘address' field. Click GET FREEBIE button and then follow instructions given above to get your free sample.